Do you remember 2004 elections? 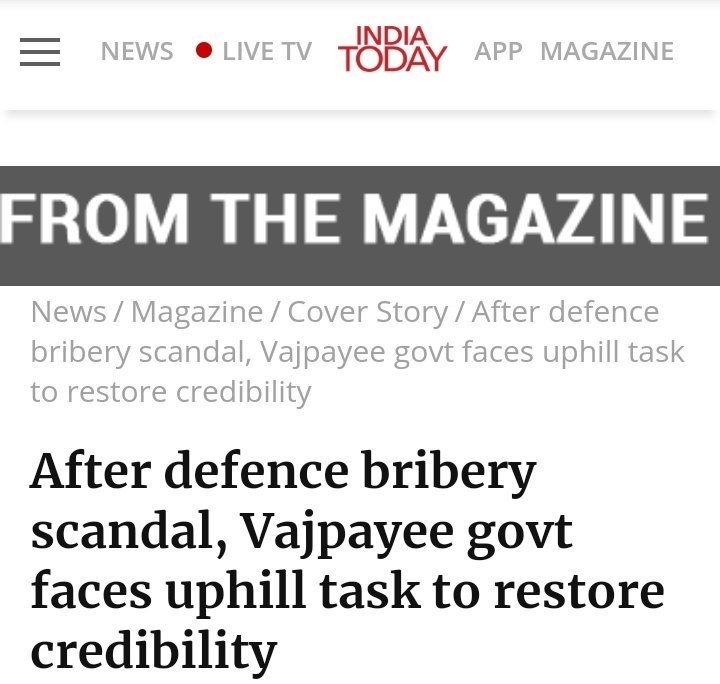 Do you want to know how false narratives were created by the Congress ecosystem against then PM Vajpayee towards the end of his 5-year term and how the same ecosystem is now repeating the same method to target PM Modi? 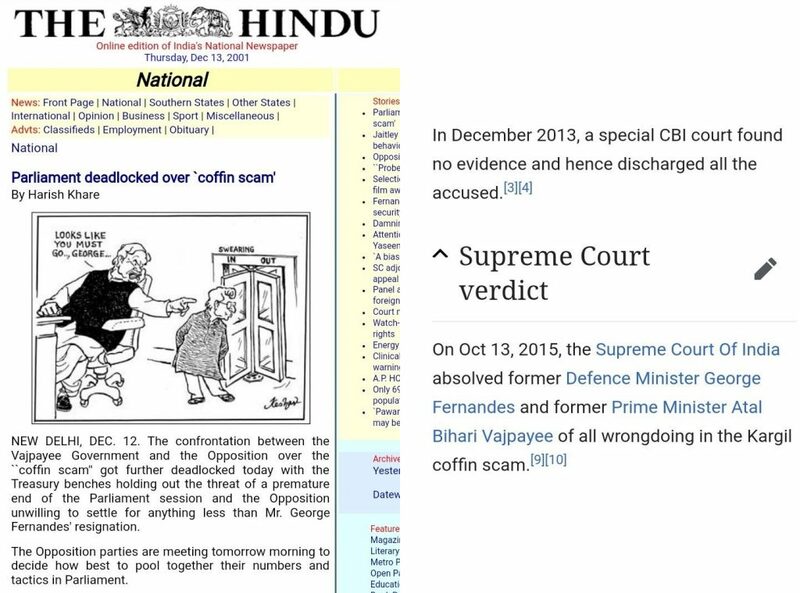 The ecosystem created a fake “Kargil Coffin Scam” like Rafael. They accused ex-PM Vajpayee, ex-Defense minister George Fernandes and also three army officers. It took many years for CBI to say there is no evidence against any of them in 2013. In 2015, the Supreme Court absolved everyone and told none were guilty, but think how narratives could be played over a span of 15 years. 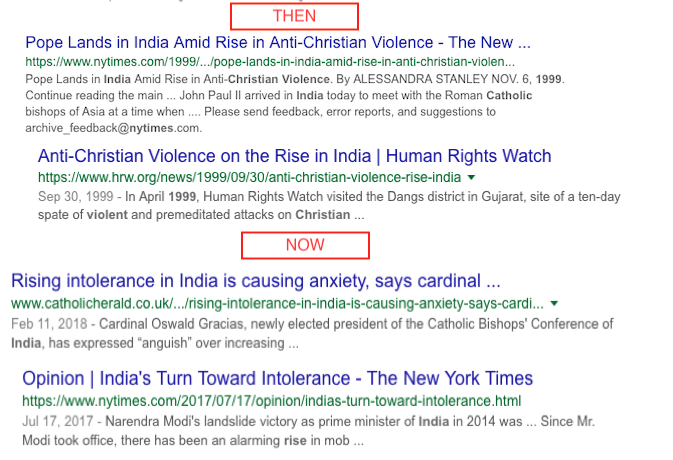 Just remember that in this time-span, Congress came to power 2 times (UPA 1 & 2). Do you remember the golden quadrilateral highways project started by Vajpayee? 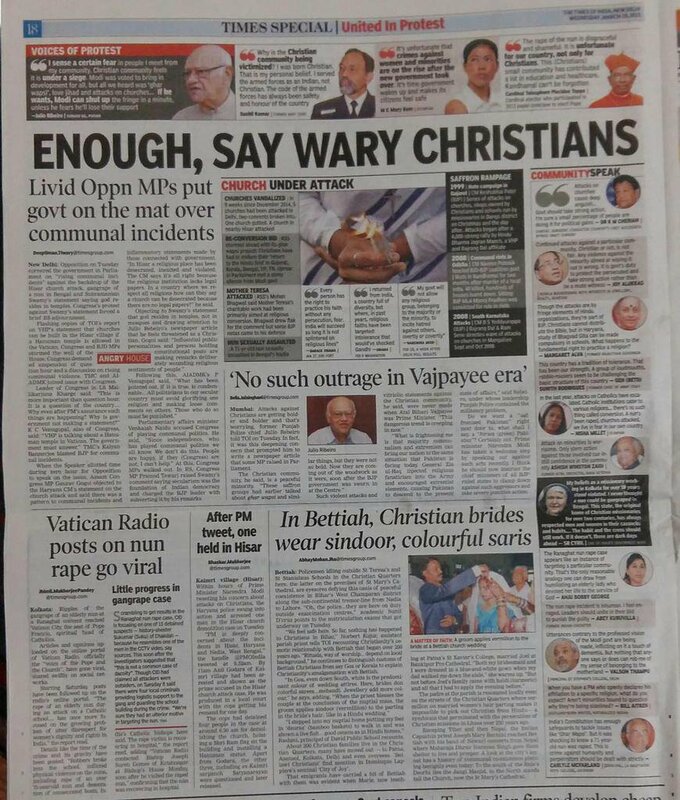 And how it was reported in leftist media? Here is a headline from ‘Outlook’ in the picture below. 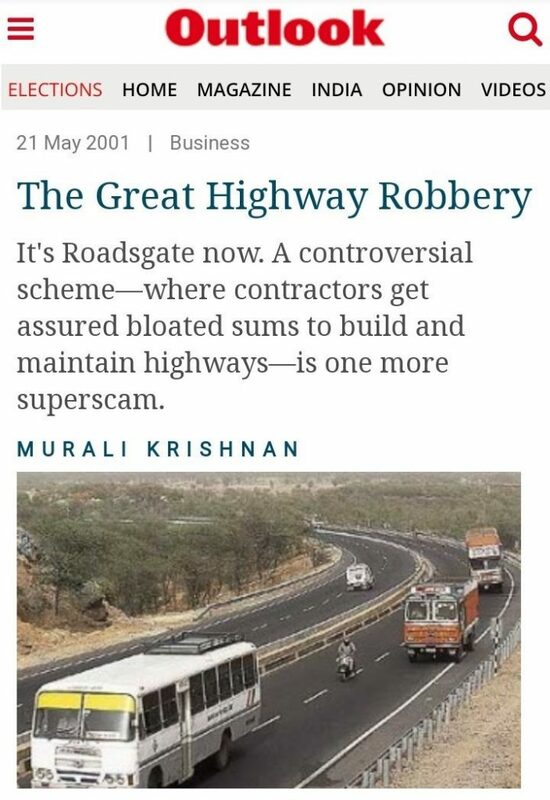 The ambitious highways project, which saw the building of the first modern national highway system in independent Bharat and from which we are getting benefited even today, was reported as “The great Highway robbery” by the leftist media. 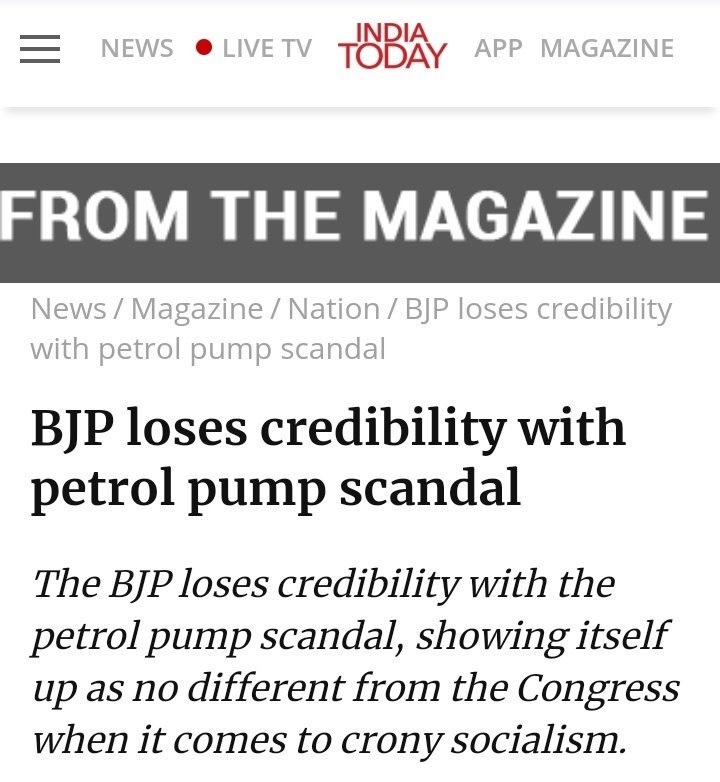 Here is one more such fake allegations by the ecosystem of Congress and left. Either the accused were not proven guilty in such cases or the cases were not even taken to court as there is no credibility. Creating fake allegations is not the only job of the ecosystem. Writing against the implementation of government schemes and premature branding of development projects as failures, is also their job. 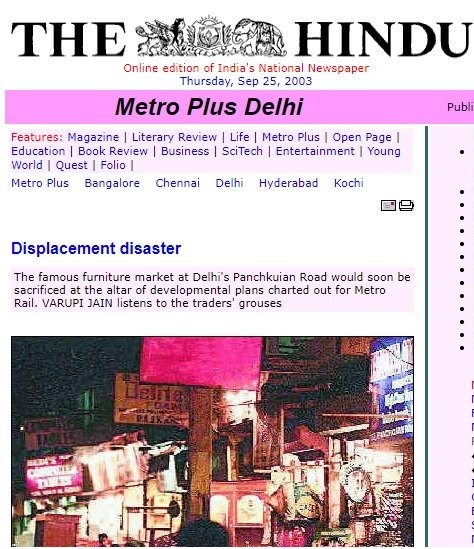 When Vajpayee proposed to expand metro, they called it a disaster. 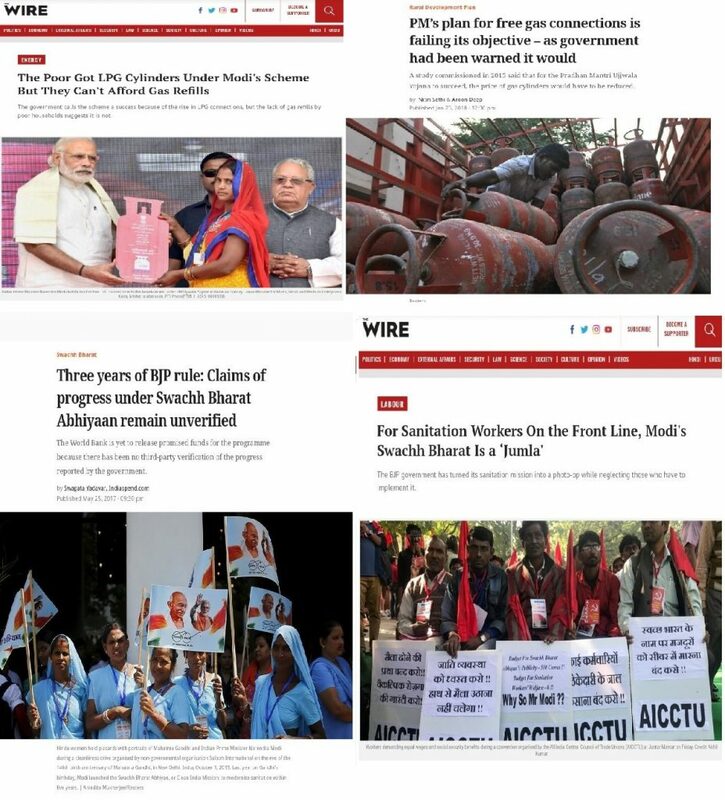 Another constant feature during the time of BJP rule is foreign media writing against the nation and supporting the Congress ecosystem. Let’s look at the picture below to know their views on Pokhran nuclear test. History repeats itself again. Congress created the new fake Rafael deal backed by their ecosystem of fake media and fake lawyer activists. Years back, they created fake coffin scam and dragged it for more than 10 years and now Rafael is their new bullet to fire on BJP. During the Vajpayee era, fake ecosystem told that Kargil war is for politics. Now during Modi era, they say surgical strikes is for politics. History repeats.